A German chemist named Hans Schwarzkopf sold the first liquid shampoo in 1927 while the conditioner entered the market in the 1970s. Before this time, people washed their hair only once a month with castile, tar or lye-based soaps. They’d also brush their hair during bedtime to remove old oils and dirt. In ancient Egypt, women moisturized their hair with castor oil and almond oil as protection from the hot climate. To cure baldness, they used henna and various herbs. In the 7th century India, they used coconut, almond oil, honey and ghee for cleaning and conditioning the hair. In the 1300s, the Chinese used the seeds from the cedrela tree while the Filipinos used water-soaked aloe vera for hair care. Around the same time, Europeans blended lizard tallow with swallow droppings as a hair gel recipe while some boiled dead lizards in olive oil to condition their hair. Hair gel is a very popular styling product that is usually used on wet hair to help produce hold when you want a specific look. There are many different forms of hair gel and they come in different strengths, which allows you to customize your look simply by choosing a different product. Generally speaking, while hair gel can be used in a number of different hairstyles, it is typically used if you want a wet look when you are done styling. It is often applied to hair and then left to dry, although it is possible to apply it and then dry the hair with a blow dryer to get the style and hold that you want. One problem that some people have when they opt to use hair gel to style their hair is that it can weigh down fine, thin hair. It’s important to avoid putting hair gel on the roots of your hair as this can cause your style to go flat. Make sure that you apply it to damp hair and never use hair gel that has alcohol if your hair is prone to drying out. Even with proper washing, hair gel will tend to build upon the strands of your hair so using a clarifying shampoo on a regular basis is important. 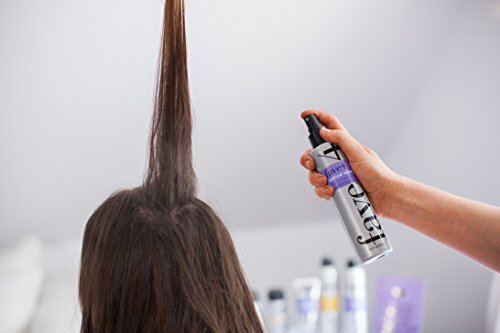 Hairspray is a product that is designed to allow you to set your hairstyle so that it will stay in place after you have finished styling your hair. It comes in a number of different strengths and will often have different features so you can easily choose the one that will work best with your hair and provide you with the hold that you desire. The main way that different hair sprays differ from one another is in the amount of hold that they provide. There are some hair sprays that are “flexible” and will allow the hair to move more than ones that provide medium or maximum hold. There are also hair sprays that will reduce the frizz you have, increase the shine in your hair, and can even add glitter or shimmer to your hair, thanks to the addition of glitter to the product. Generally, hair spray can be dispensed either as an aerosol or with a pump. Using the right kind of hair spray for your hair is important if you want to make sure that your hair looks natural, clean, and not weighed-down. This is a product that you will use when you are styling your hair. Hair serums will help to protect your hair against humidity so that you don’t have to worry about your hair frizzing in the damp air, will add shine to your locks, and ensure that your hair looks as smooth as possible. When you are using hair serum, it is important to remember that you only need a very little bit and to apply the product to wet hair before you begin to style it. Never apply hair serum to the roots of your hair as this will weigh down your strands and cause them to lay flat against your head. If you struggle with constant tangles, have hair that is very coarse and dry, and live in an area with a lot of pollution or spend a fair amount of time out in the sun, then you will benefit from using hair serums to protect your hair. It is important to consider the texture and condition of your hair when choosing a hair serum so you can find the best one for your individual needs. This product is often called “styling foam” and is used to help style or stiffen your hair so that it will stay in the style that you want. This product is designed not only to provide you withhold when you are styling your hair but also to condition it and to add volume to your limp locks. It relies on synthetic resins that will actually coat hair strands to help them keep their shape when you are styling them and can be used on any type of hair, thanks to its light weight and ability to give volume to even fine hair. You can use hair mousse on wet hair and then leave it to dry naturally or blow it dry, depending on the style that you want. By applying mousse to wet hair and then allowing the hair to dry naturally, you can achieve a crunchy or a wet look. If you blow dry your hair once you have applied mousse, then you can coax as much volume out of your hair as possible and enjoy superior hold. The main benefit that mousse has over gel is that you can comb it out of your hair if you want a softer look while gel provides such a strong hold that this is nearly impossible. These hair styling products are used to add temporary shine, volume, or body to dull, flat, or thin hair. 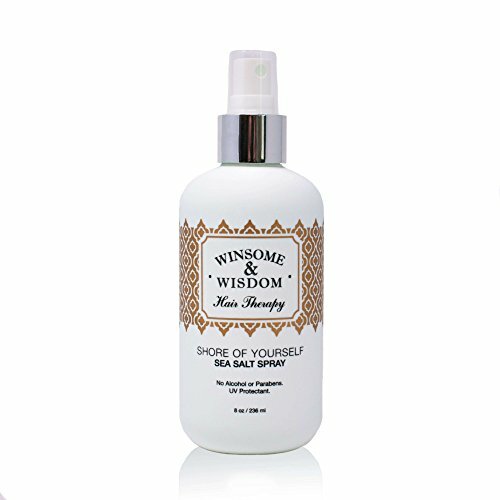 They come in many different forms and can be a lotion, pomade, spray, shampoo, or conditioner. While products with volumizers in them will provide you with some additional volume and movement, if you want to really get the most volume out of your hair, then you will want to opt for a stand-alone product. These are generally applied to your hair when it is damp and then heat is applied to dry the hair and ensure that you have all-day volume. Most hair volumizers can be applied at the root of the hair so that you will get as much lift as possible on your strands. There are others that are applied to the entire length of the hair but these can tend to weigh down very fine hair. If you do apply volumizer to your roots on a regular basis, then you need to make sure that you use a clarifying shampoo as well to prevent buildup from forming on your scalp. Root pump is a type of volumizing spray that is designed to be used specifically on the roots of your hair, providing you with ample volume and allowing you to tease your hair higher than before. If you want to use this product, then you need to make sure that you choose one that was developed for your hair type so that you do not weigh down your strands. Additionally, look for one that will protect your hair from humidity as wet conditions will often cause volumizers and other products to fail and your hair to fall flat. Finally, make sure that you know whether or not you need to set the product with heat from the hair dryer for the best results so you can have the volume that you crave all day long. This substance is usually greasy, water-based, or wax-based and is used to style hair. When used, it will give hair a very slick, shiny appearance and it tends to hold styles for a long period of time. While pomades now can generally be easily washed out of the hair, in the past, they took multiple washing to completely remove the product. Pomade does not completely dry, which means that you can continue to rework your hairstyle during the day and it will remain much more flexible. This also means that your hair will remain in the desired style for a longer period of time. Because it is so difficult to remove wax-based pomades from the hair, it is more and more common to find water-based pomades as well as ones that have water-soluble ingredients. Pomade is best applied when you want to keep your hair in place and enjoy increased shine. It’s better for curly, thick hair but can weigh down thin and shorter hair. Hair wax is a very thick styling product used to hold the hair in place once it has been styled. Unlike hair gel, wax remains very soft and will not dry out during the day, which is great for people who tend to deal with dry and brittle hair. Hair wax is a great product to use if you want a lot of control over the appearance of your hair and want to be able to spike it in different directions. 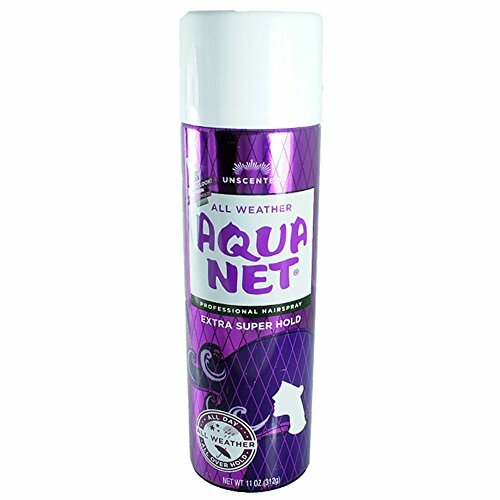 This product needs to be applied to hair that is completely dry for the best results. Wax will last longer in your hair than pomade and is ideal if you want the most control possible. It is also an easier product to wash out. Hair clay is a relatively new option for people who are looking to style and control their hair. True hair clay will have actual clay in the product. This product is very thick and operates much the same as wax but with more benefits. Clay is able to actually make your hair follicles feel and look thicker, which is great if you have thin hair and want to improve the volume and appearance of your locks. Additionally, hair clay will actually help to heal and moisturize hair and scalps that are dry and damaged. When you use the right amount of hair clay in your hair, then you will enjoy a very natural look and a matte finish. One reason why so many people love this product is that it is more natural than others on the market and it easily washes out of hair without leaving behind a lot of residues. Hot temperatures, chemicals, and even sun can all damage your hair. If you want to make sure that your hair looks as healthy as possible, then you need to take steps to combat this damage. Damaged hair will be dry, it will have split ends, and the color will fade. Once your hair is this damaged, you will generally need something more powerful than your everyday conditioner. 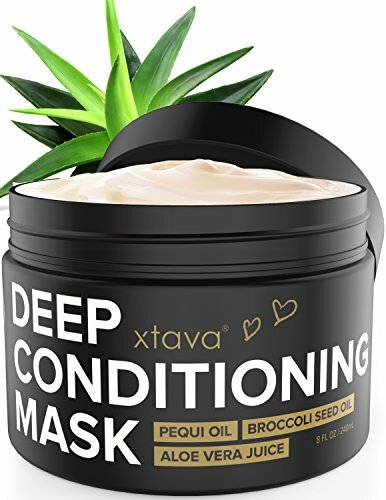 A conditioning mask is a great way to make sure that your hair has the vitamins and oils that it needs to be healthy, no matter how much damage has already been done to your strands. 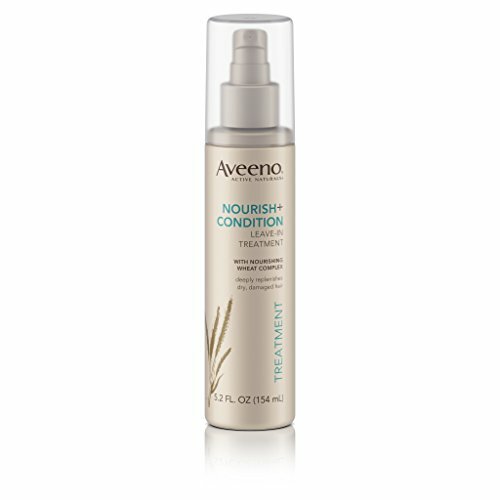 Leave-in conditioner is a hair product that is used to help smooth and protect the hair; unlike traditional conditioner, it is not washed out. This product works by covering your hair with chemicals that will protect your strands and make them appear and feel smoother. While these conditioners are not able to actually make your hair any healthier, they can prevent split ends and may contain minerals and vitamins that can nourish your hair when they are absorbed by the scalp. Dry shampoo is a powder or a spray that dries really fast and is used to clean your hair without the use of water. 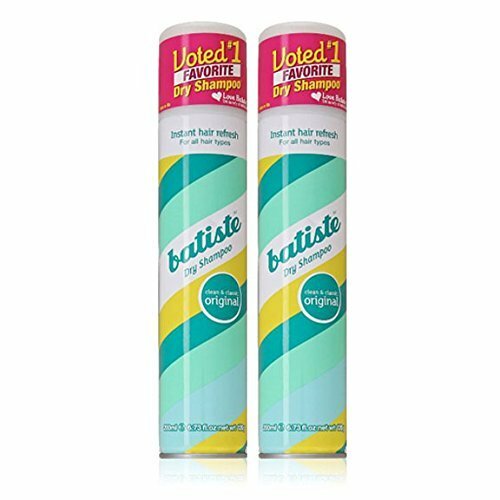 There are some dry shampoos that are available in paste form but these are not as common. All dry shampoos work by absorbing any extra oil and sebum from your roots and your scalp, allowing you to style your hair and enjoy a look that is clean and fresh without having to spend time washing your hair. A dry shampoo is a great option if you have colored your hair and want to extend the life of your color as regularly washing your hair will cause your color to fade faster. This hair product is also a great choice if you want to make sure that you do not have any odor on your hair or scalp and to add volume to your style. By applying dry shampoo to your roots, you will immediately be able to add volume to your hair as well as texture. While not a substitute for cleaning your hair on a regular basis, dry shampoo is a great option when you are in a hurry or need to freshen up your look without taking the time to wash your hair. Hair oils, unlike other hair products available on the market, are not used to style the hair. They are nourishing and conditioning treatments that will actually work to make your hair a lot healthier. Oils are beneficial to help to lubricate your hair and prevent breakage and split ends, which will cause your hair to look unkempt and unhealthy. Commonly, people apply hair oil to their hair when it is wet but it can also be used as a hair mask if you really want to enjoy all of the benefits of this product. Because hair oils are lubricants, they also do a great job at detangling your hair when it is wet. By replacing the lipids in your hair, you will enjoy much healthier hair that looks and feels great. Different types of oils are best for different types of hair so it’s important to take into consideration what type of hair you have and what problems you deal with, such as fine and dry hair or thick and greasy hair. Texturizers are often considered an alternative to dry shampoo that will add a lot of volume and texture to your hair. They are easy to use and to apply and will not only add a lot of volume to your hair but also make your hair more textured, which will let you style your hair to perfection. Look for a texturizer that will also absorb any oil that is at your roots as this will help you to get the height and volume that you want. If you use a curling iron or a blow dryer on a regular basis, then you probably already know how damaging this can be to your hair. It’s best to limit your use of heat when styling your hair so that you can limit the amount of damage that you cause. However, for many people, this isn’t an option as they have to use heated tools to style their hair and get the look they want. If you love using hair dryers, straighteners, or curling irons but want to decrease the amount of damage caused to your follicles, then make sure that you use a heat protectant to keep your hair from being damaged during styling. Hair products are often packed full of harmful chemicals and if you want to avoid putting these on your hair and scalp, then you will want to opt for products that are organic. This is especially important if you suffer from allergic reactions and skin irritation as organic products can help with this problem. Additionally, by opting for organic hair products, you will actually have healthier hair. When you want healthy hair and healthy skin, then the choice of using organic hair products is clear. People who have curly or wavy hair often have to deal with frizz. 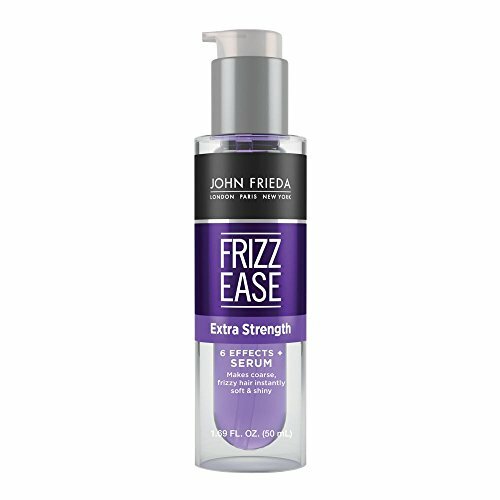 While there are some hair products that you can buy that are specifically designed to fight frizz, there are others that simply have this as an added feature. 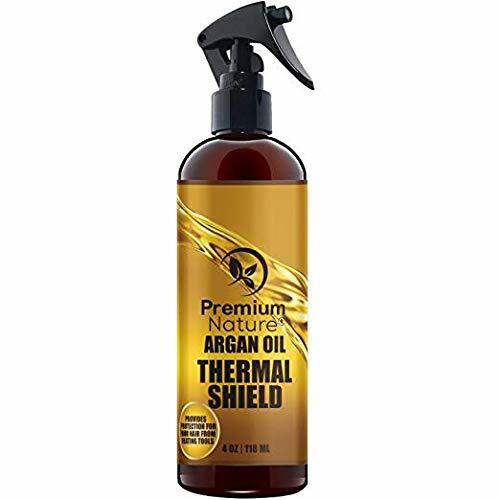 If you are going to be in a humid area and have problems with controlling your hair, then you may want to opt for a hair product that offers this feature. One problem that a lot of people run into when they are using hair products is that they accidentally dry out their hair more than necessary. If you have dry hair that tends to be brittle and is prone to split ends, then you need to make sure that you only use hair products that are alcohol-free. These will provide you the hold and control that you want for your style without accidentally drying out your hair at the same time. One problem that many people have when they buy new hair products is that the smell of the product itself will irritate their allergies. If you suffer from allergies, then you will want to make sure that you choose products that are unscented as these are much less likely to bother you when you wear them. Even if you do not struggle with allergies, opting for unscented hair products is a good idea if you have anyone in your family who does. Parabens, while very common in hair and body products, are not healthy and can be dangerous if you are exposed to them on a regular basis. These toxic chemicals can actually cause allergic reactions and may even cause contact dermatitis. Women who are pregnant need to be careful to avoid parabens as they can negatively affect fetal growth and development. By opting for hair products that are free of parabens, you can make sure that you are taking steps to stay as healthy as possible. One problem that many people run into when they have dyed their hair in the past is that the hair products they use can actually cause their new color to fade. If you want to make sure that your hair color will last as long as possible so you don’t have to pay to have it dyed again, then you need to choose products that will be gentle on your hair. These are specially designed to provide you with the hold and styling power that you want without causing your hair color to fade. People who have curly hair and want to make sure that their curls are as defined as possible need to make sure that they opt for a product that offers this feature. While some products will cause your curls to fall flat, ones that are designed to improve the appearance of your curls will keep them looking amazing and help them stay in shape.